And when people started to get their hands on actual devices, reviewers continued to ham it up with videos comparing the size of Apple’s big-screen phone to former NBA players and other silly juxtapositions. 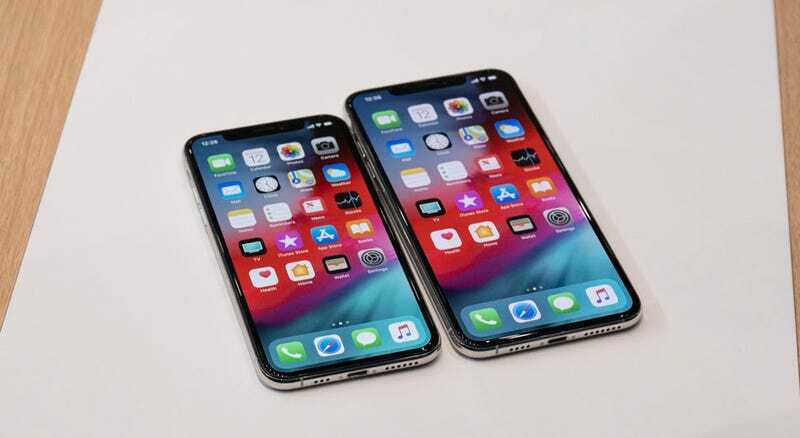 But still, with as much fuss folks kicked up about the XS Max, the extra-large iPhone is already “significantly” outselling the smaller model, according to a report from noted Apple analyst Ming-Chi Kuo. According to Kuo, the XS Max is off to a better than expected start with sales three to four times higher than those of the iPhone XS, which is quite impressive since with a starting price of $1,100, the Max is also the most expensive iPhone ever. Kuo says across both models, 256GB is the most popular storage option, though part of that is due to the limited quantities of 512GB models, which rely solely on Samsung to produce the NAND flash needed for drives of that size. Kuo also says space gray and gold are significant more popular than the standard silver and white paint scheme, which makes sense since those are the new colors for 2018. Now a lot of this demand for the XS Max could be reasoned down to this being the second year of the iPhone X, with relatively minute differences between last year’s model and the iPhone XS. But what’s more surprising have been all the people who didn’t see this coming. Phones have steadily been getting bigger for years—ever since Samsung released to original Galaxy Note, which like the XS Max, was also called awkward and unwieldy at launch. In fact, if you look at the numbers, the iPhone XS Max is actually smaller than an iPhone 8 Plus—measuring 6.2 x 3.05-inches versus 6.24 x 3.07 inches—it just uses its screen real estate more effectively due to not wasting as much space on bezels. So while Apple didn’t make it cheap, and contrary to what popular outcry might have you believe, Apple did give people what they wanted within the confines of its own walled garden: a phone with a truly big screen. And in places where iPhones also double as status symbols, being able to get your hands on the most expensive iPhone ever made probably didn’t hurt sales either. On top of that, releasing the XS Max a month ahead of the iPhone XR is a pretty savvy business move, as it lets price-agnostic buyers get in on the action, while drumming up excitement for budget-conscious shoppers later in the fall.